One of the first big milestones along the fountain pen journey is that first jump over the $100 mark for a pen. In addition to breaking through a financial barrier, it’s a step that brings gold nib pens into reach for the first time. 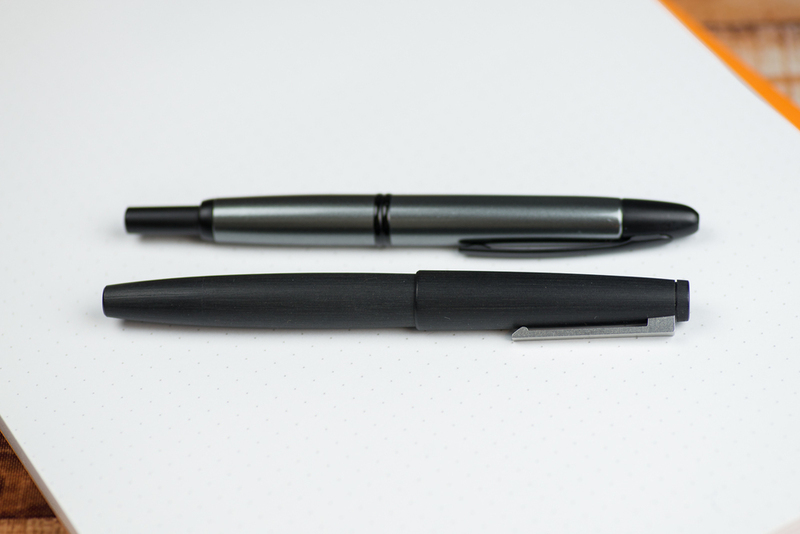 Two common choices for pen buyers at this stage are the Pilot Vanishing Point and the Lamy 2000. I chose the Vanishing Point path when my time came (with zero regrets), but I always knew that it was just a matter of time before I revisited the Lamy 2000. One thing that held me back from purchasing a Lamy 2000 is the collection of war stories I had heard about people encountering nib issues out of the box. While this type of thing comes with the territory with fountain pens (and is solvable), there is something very off-putting about companies selling pens in this price range with poor quality control. 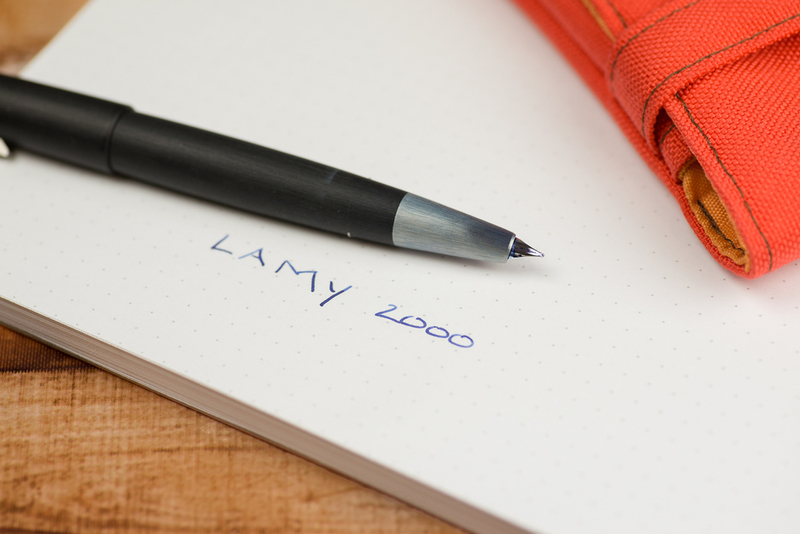 Thousands of words have already been written about the Lamy 2000’s iconic design. Its designer, Gerd A. Müller, worked alongside the famed industrial designer Dieter Rams at Braun before joining Lamy, and the Bauhaus-inspired design ethos that Braun is known for is certainly present in the Lamy 2000’s timeless design. The pen was introduced in 1966 and has changed very little since its debut. 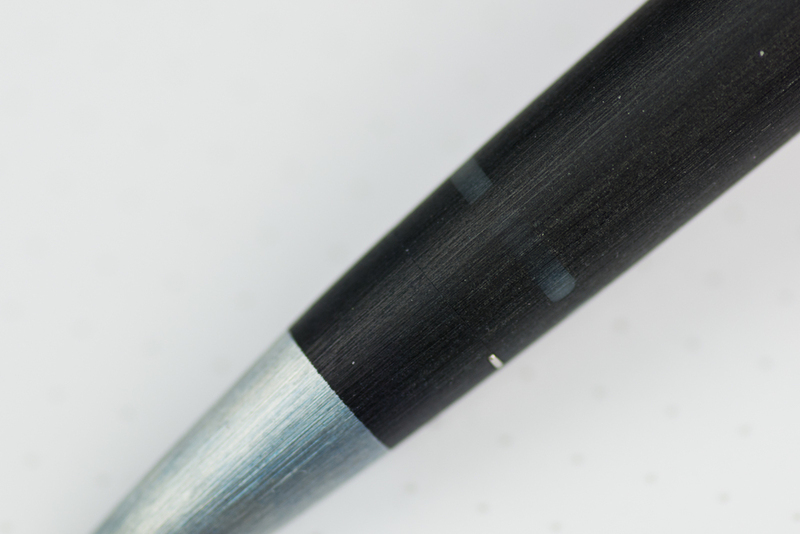 The barrel of a standard Lamy 2000 is made of a black textured fiberglass material called Makrolon. Uncapping the pen reveals a distinctive brushed steel grip and a hooded nib made of platinum-coated 14-karat gold. For the most part, the Lamy 2000 flies under the radar screen. If you use it in a conference room full of people who aren’t into pens, it will probably go unnoticed. However, it reveals itself as “not just any pen” to those who take the time to inspect it more closely. 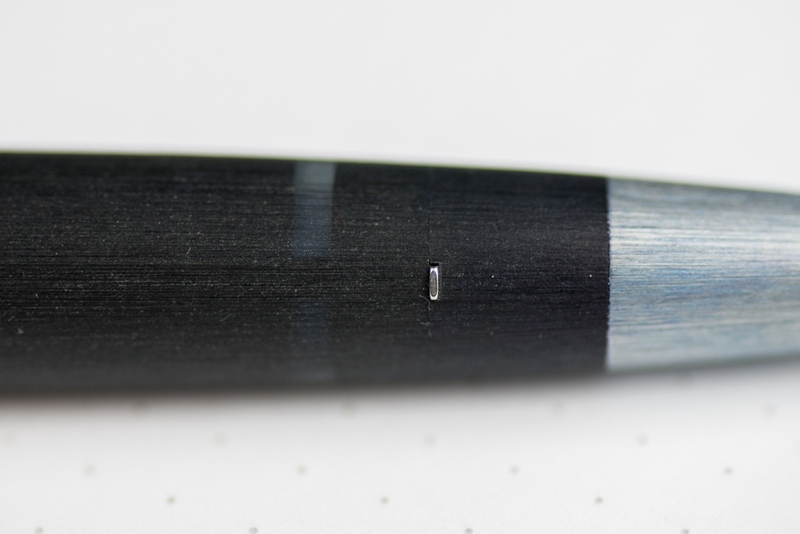 The Lamy 2000 is a piston filler, though this is not obvious to the casual observer. 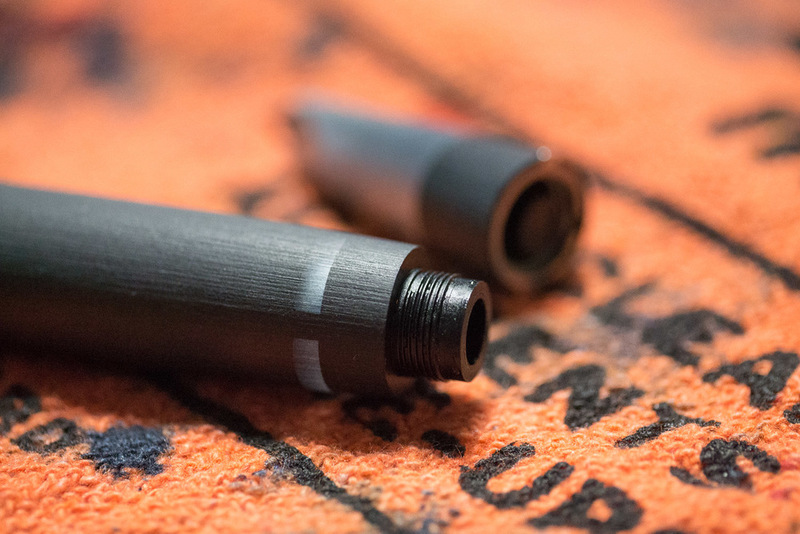 The piston nob blends seamlessly into the barrel, an impressive feat of design and manufacturing. With that pleasantry out of the way, I’ll move on to the fact that my experience actually operating the piston was quite poor. Though it worked (at first), it felt a bit sluggish to turn. It was definitely not as smooth as other piston fillers I’ve used, including much less expensive ones like the TWSBI 580. I thought that perhaps the piston operation would smooth out a bit with use, but the opposite ended up being true. It felt even more “off” on my second ink fill, and when I was cleaning the pen out in preparation for a third fill, the piston stopped drawing liquid in nearly completely. I wasn’t really all that enthused with the idea of disassembling the piston on my brand new pen, so I emailed Goulet Pens for any advice. They pointed me to a YouTube video that stepped through how to grease the Lamy 2000 piston by coming in through the barrel with a Q-tip. It was easy enough to try, and it did get the piston functioning again. Nonetheless, it was a pretty disappointing out of the box experience for a pen in this price range. 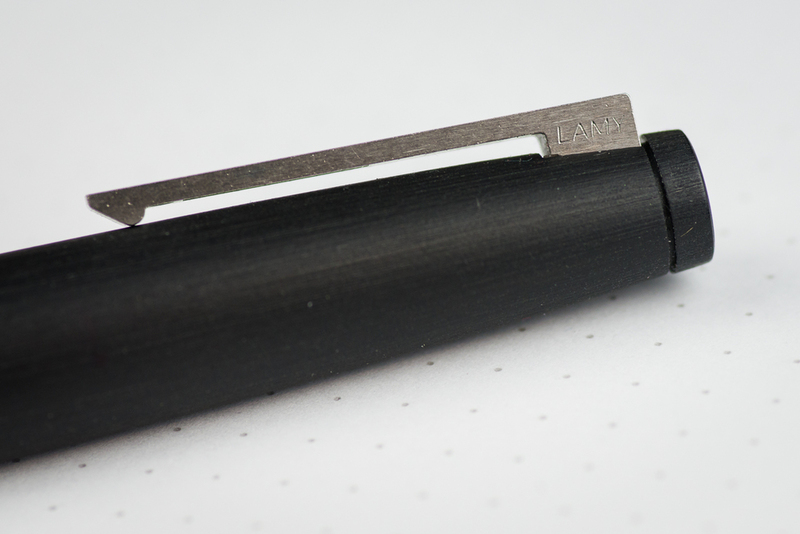 The Lamy 2000 has a small ink window integrated into the barrel. It’s a nice touch and well executed, but it hasn’t been all that useful to me. I tend to use fairly saturated inks, and I can’t always tell if I have a good ink supply or if there is just some dark ink coating the inside of the window. It’s definitely better than no visibility, though. The Lamy 2000 clip is one of the better ones I’ve come across. Clips feel like a low quality afterthought on many pens, so the clip on the 2000 really stand out. It's spring loaded with just the right amount of tension, and it has a simple but distinctive look. 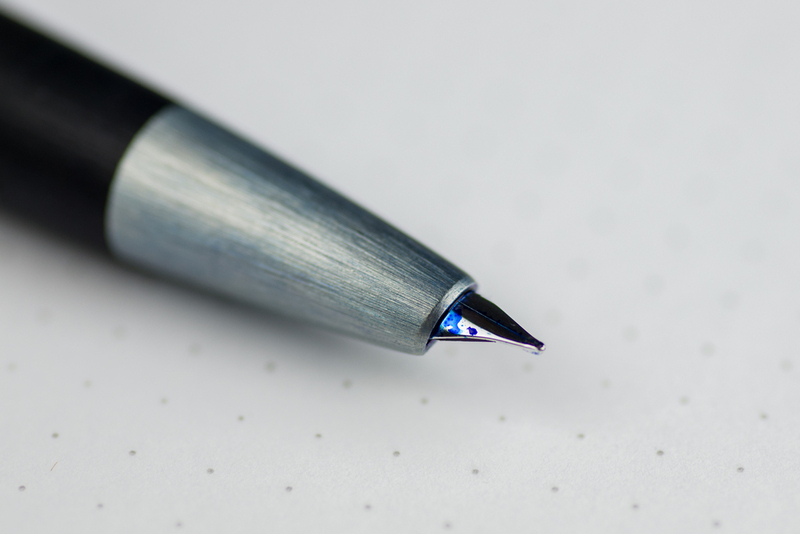 Another noteworthy design element is the manner in which the cap affixes to the pen. There are small tabs between the grip and the barrel that the cap clicks on and off of. It’s very convenient to be able to remove and replace the cap without twisting. The friction level is just right, so the cap always feels secure. The moment of truth: how did the Lamy 2000 actually write? The answer: extremely well. To my relief, I did not encounter any issues with my nib. It’s a very smooth writer. I opted for a medium nib. It’s definitely on the broader and wetter end of the medium spectrum, but it’s quite nice. With the medium, I do need to limit my use somewhat to paper that I know is fountain pen friendly. If you want to use the Lamy 2000 as an everyday driver, a fine or extra fine is probably a better option. I’ve heard others mention that the Lamy 2000 nibs have a bit of a sweet spot. I think this is true to a degree, but I find that I can just grab it and write without much thought. I would describe it as being ever-so-slightly less forgiving to writing angle than some other pens versus having a pronounced sweet spot. Servicing the piston is a little more dicey. If you search around online, you can find information about how to do it, but it’s a little intimidating to me. There are other pens, such as the TWSBI 580, that I couldn’t wait to take apart and tinker with. 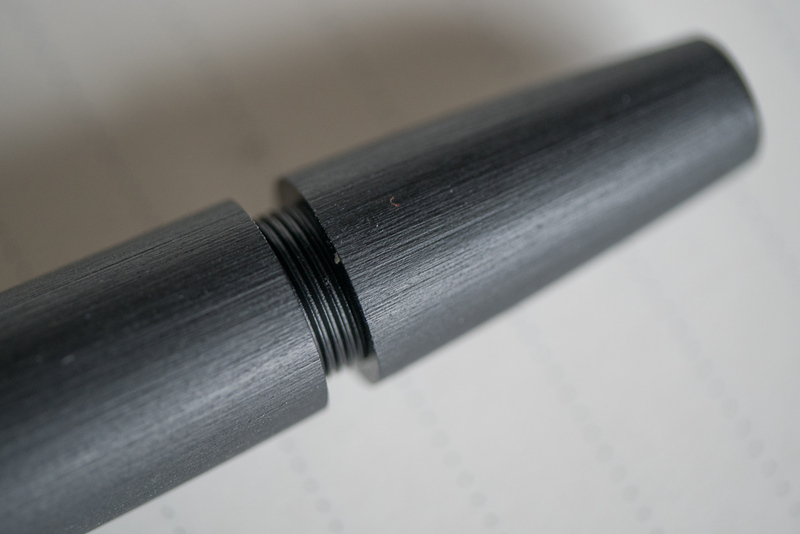 I have no such desire with the Lamy 2000 piston system, in part because I can’t really see what is going on inside. The street price for the Lamy 2000 is around $160 at speciality pen retailers like Goulet Pens, Pen Chalet, and JetPens. As I noted above, the Lamy 2000 is definitely a good candidate to buy from a trusted retailer, but there are bargains to be had if you’re willing to roll the dice a little. 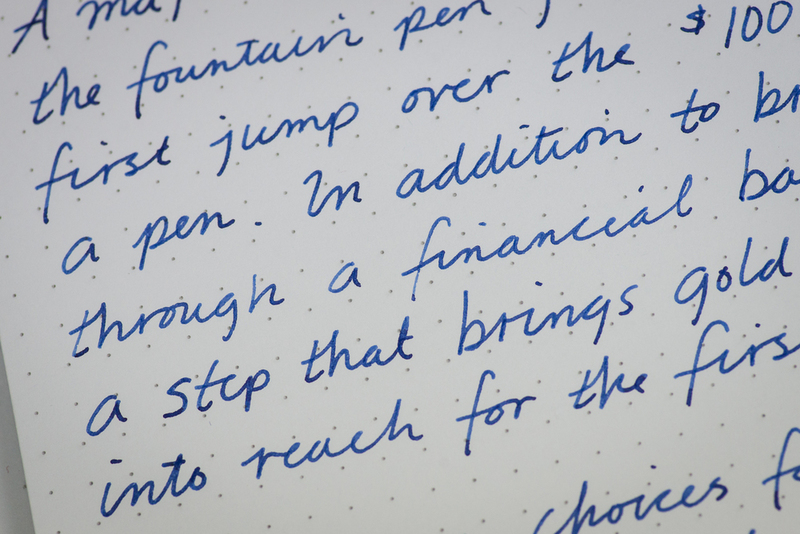 For example, as of this writing, you can find certain nib sizes on Amazon in the $125 range. 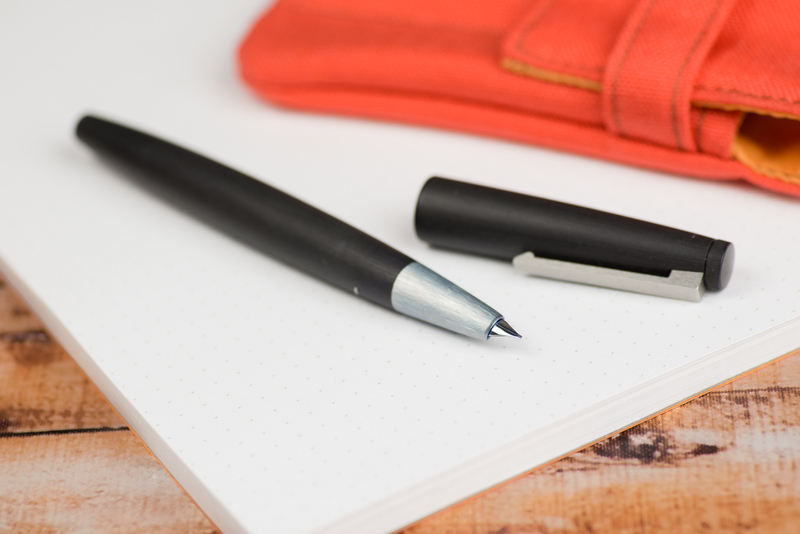 Whether you’re paying full street price or receiving a bigger discount, the Lamy 2000 is a very good value. However, I don’t have any regrets about not jumping in earlier. While the Lamy 2000 is definitely a pen that I plan to hang on to for the long haul, it hasn’t become a “go-to” pen for me on a daily basis. I think someone making the jump to the $150 mark to experience a gold nib would be better served by the Pilot options in this range (e.g., Vanishing Point, Custom 74). There are also some excellent steel nib pens in this price range, such as the Edison Collier that I reviewed previously. I actually use and enjoy that pen much more than my Lamy 2000. 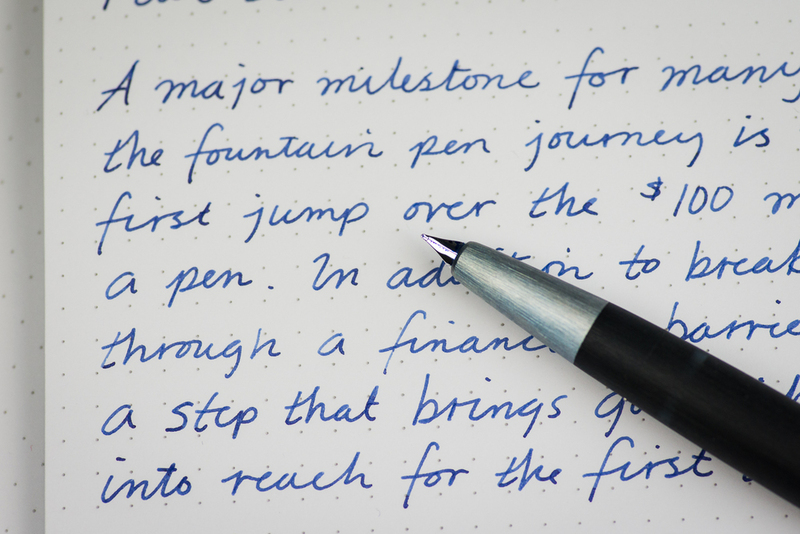 The Lamy 2000 is an iconic fountain pen and is a great addition to any collection. The quality control issues it’s known for are a significant turn-off for me, but I think the pen’s distinctive design and excellent writing experience make it a worthwhile trade-off. The Lamy 2000 is often included in “first ‘nice’ pen” recommendation discussions, but I don’t think it serves that need well. That said, I wouldn’t fault a newer fountain pen user for succumbing to its charms. Buying the Lamy 2000 in person or from an online retailer with a reputation for good customer service will mitigate the potential risks. Note: A big thanks to Christine Conrad Lane (AKA my wife) for a major photo assist on this post.